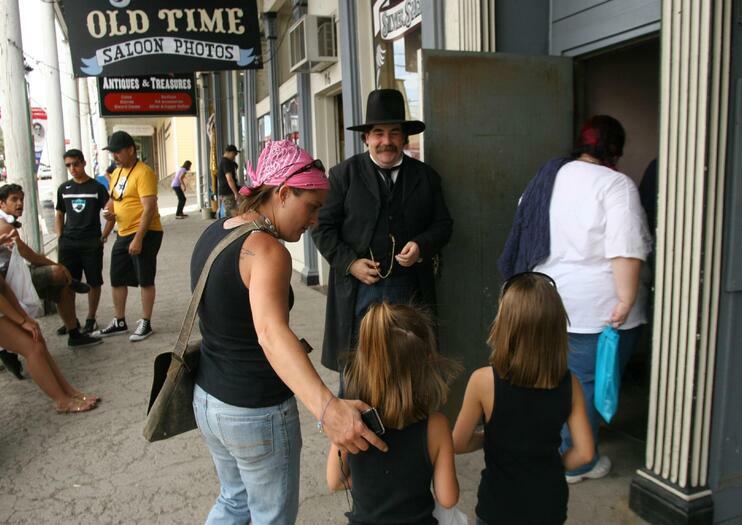 Step back in time to the Wild West at the historical mining town of Virginia City, once called the “richest place on Earth.” Enjoy 100-mile (160-kilometer) views across the high desert, ride the V&T railroad, shop, have a bite to eat or drink in an old saloon, and tour museums, mines, and mansions in one of the country’s largest National Historic Landmarks. The best way to enjoy Virginia City is to walk up and down C Street, the town’s main street. Stop at the Welcome Center on the corner of C Street and Taylor, pick up a map of attractions, and purchase tickets to individual attractions or an adventure pass. Highlights include the Chollar Mine Tour, Bucket of Blood Saloon, Piper’s Opera House, the Mark Twain Museum, and The Way It Was Museum. A number of ghost-hunting tours are available for those interested in the paranormal. And fans of Bonanza may recognize Virginia City from the show. Guided tours are available from South Lake Tahoe, driving along part of the historical Pony Express Trail. Tours include a ride on the V&T Railroad, as well as stops at historical points of interest in Carson City. Virginia City is a must-see for any visitor to northern Nevada. The town is free to visit, but certain attractions charge an admission fee. Virginia City is in the high desert, so bring sun protection and plenty of water. Virginia City is located in western Nevada, about 20 miles (32 kilometers) southeast of Reno. From Reno take US 395 to exit 57B, then climb along NV 341, known as Geiger Grade. From Carson City take US 50 east to NV 341, the Comstock Highway. Virginia City can be visited year-round, though the most pleasant weather is in spring and fall. Summer can get very hot, while winter can see snow, which can affect road conditions. Virginia City also hosts a number of festivals and races throughout the year, including the Rocky Mountain Oyster Fry in March, the International Camel and Ostrich Race in September, and the World Championship Outhouse Race in October. With the discovery of the Comstock Lode, the first major silver deposit found in the US, in 1859, the town seemed to boom overnight. Thousands of people sought their fortunes here, including Mark Twain, who worked here for two years. At one point, this area produced nearly half of all the precious metals mined in the US. The boom didn’t last for long, though, and mostly died down by 1880. Today, the town welcomes over two million visitors a year.